Browse current real estate listings near Disney World Resort. Can't find a home that fits your needs? Try our advanced Greater Orlando MLS search. You can easily filter properties by location, price, amenities, and more to find exactly what you're looking for. 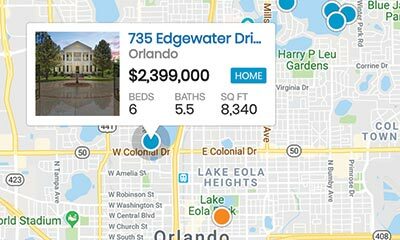 Here you'll find all the latest Disney homes in Orlando and all the surrounding areas. Please contact me if you have any questions or if you'd like to schedule an appointment to see any of these homes. Dahlia Reserve At Crescent Lakes SubDv. Emerald Island Residence Ph 2 SubDv. Windwood Bay Ph 02 SubDv. Reunion West Ph 1 SubDv.